Chris Pratt was born in Virginia, Minnesota, United States, on June 21, 1979, is an American actor. Young Chris Pratt began his acting career in the short horror film Cursed Part 3 (2000) in role as Devon, at age of 19. 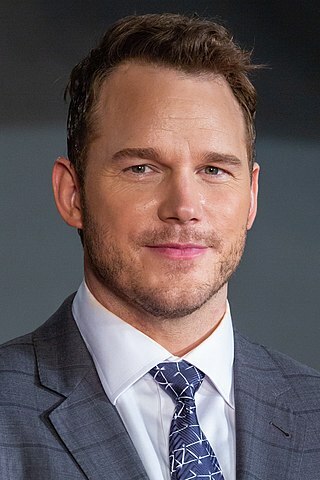 Pratt's breakthrough role came as Andy Dwyer in NBC comedy series Parks and Recreation (2009–2015). He played Peter Quill / Star-Lord in superhero movies: Guardians of the Galaxy (2014), Guardians of the Galaxy Vol. 2 (2017), Avengers: Infinity War (2018) and Avengers: Endgame (2019). He portrayed Owen Grady in science fiction thriller movies: Jurassic World (2015) and Jurassic World: Fallen Kingdom (2018). Chris won the CinemaCon Award for Breakthrough Performer for his role in film Guardians of the Galaxy (2014) in March 2014. He dated Canadian actress Emily VanCamp (2004–2006). He was married to actress Anna Faris (2009-2018), they have a son named Jack. He started dating author Katherine Schwarzenegger, the daughter of Arnold Schwarzenegger in June 2018. He enjoy in hunting and fishing. Lives in the Hollywood Hills area of Los Angeles, California. A friend bought me a plane ticket to Hawaii, which is where I got discovered and became an actor, so I guess a friend bought me a winning lottery ticket. You get to a point where you have to start planning, when you cross that line where you have enough value to get someone's movie made if you attach yourself to it, you have to be very thoughtful and have to plan. When you're starting out, you're willing to do anything. Being in good physical shape is the best way to combat depression. You just have endorphins running around your body. It is the best anti-depressive that there is. When you get in shape, the world around you becomes things you want to jump on and climb on. Quill and I are basically the same person. We were born in the same year. We loved the same movies. The same music. If I were kidnapped at 10, taken to space and based my ideology on the pop culture of 1979-1989 I would be Peter Quill. As an actor it's always easier to shave or cut your hair for a role, but it's hard to put fake hair on or grow hair for a role. When you look at pictures of me, the longer my hair is, the longer my facial hair is, that's just the longer I haven't gotten a job.